Genux Clothing Onyx Group 03 Pinstripe Wool Skirt. 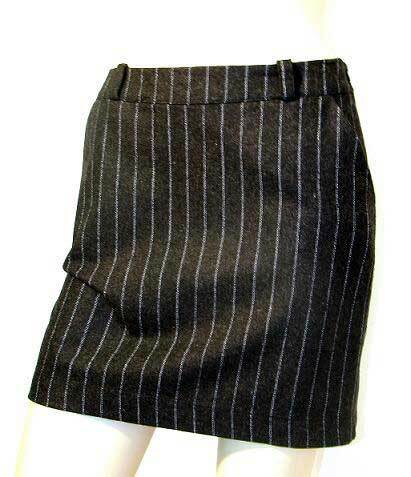 Women's mini wool blend skirt with pinstripe fabric as shown. 2 insert front pockets, belt loops on waist. Back zipper and button closure. Fabric is 60% polyester, 15% rayonne, 25% wool. Made in Canada.